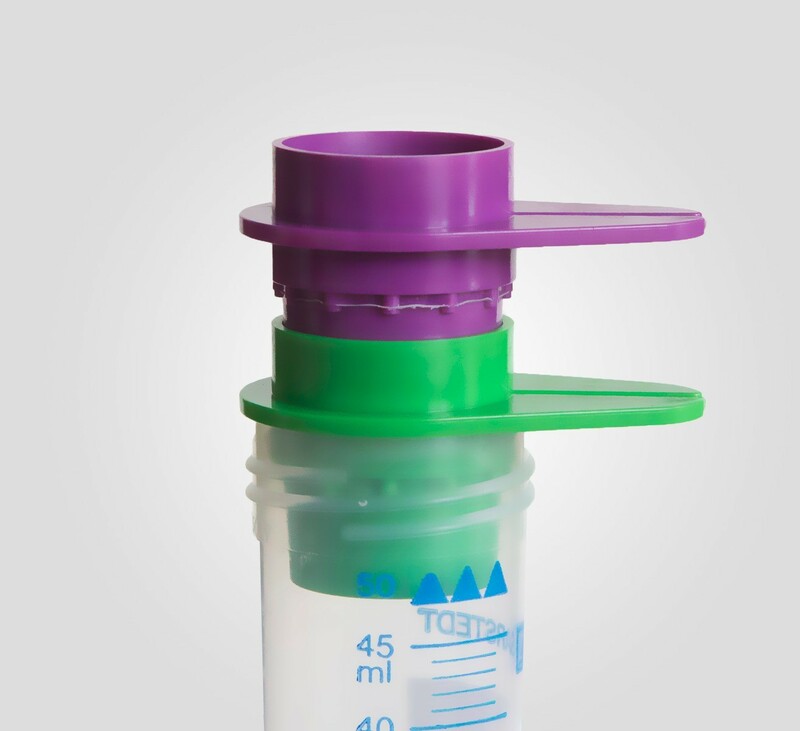 The pluriSelect cell strainer - pluriStrainer is a sterile sieving device to obtain real single cell suspensions or to remove cell aggregates. 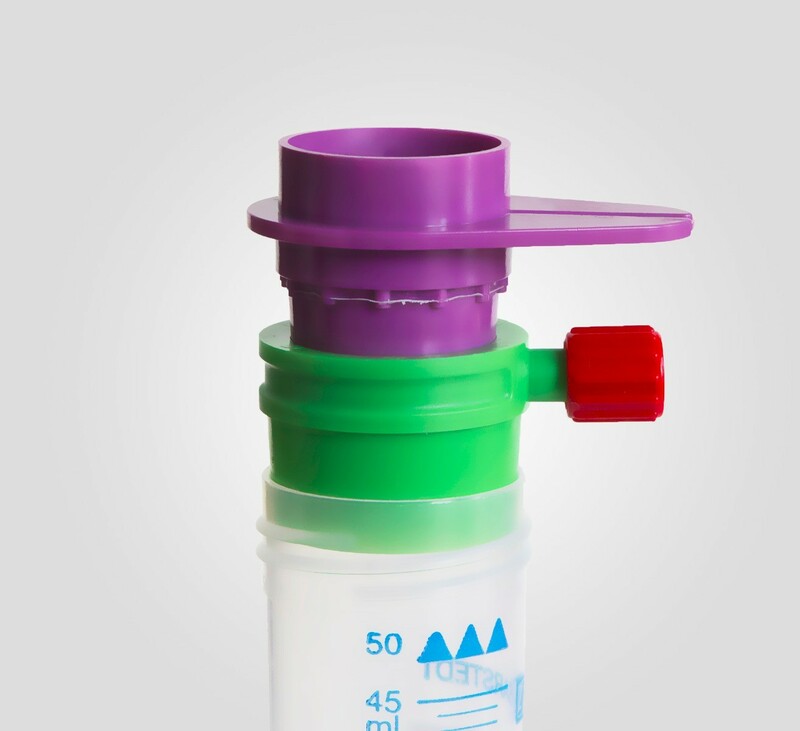 Furthermore it can be combined with a Connector Ring (41-50000-03) to use low pressure which supports the filtration. pluriStrainer® are stackable to allow direct filtration with different mesh sizes. pluriStrainer® can be inverted to recover the sieved material. 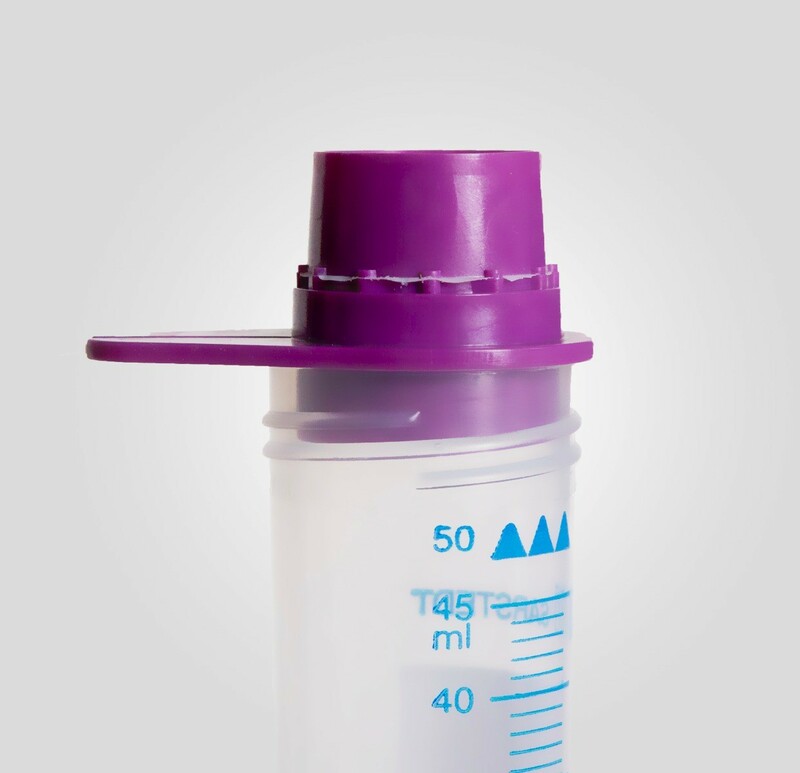 For large sample volumes it can be combined with a funnel. 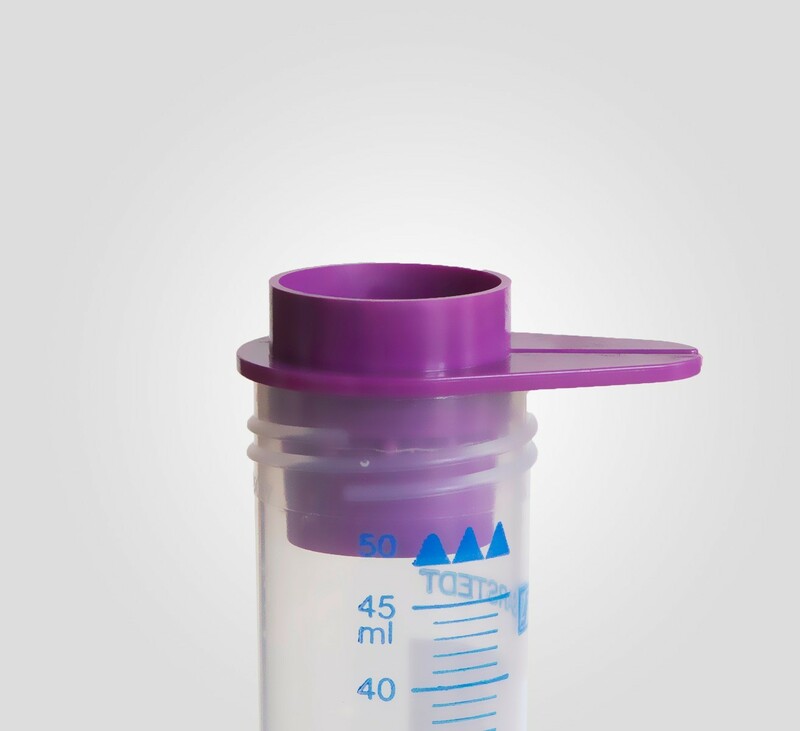 It fits into any 50 ml centrifuge (conical) tube. 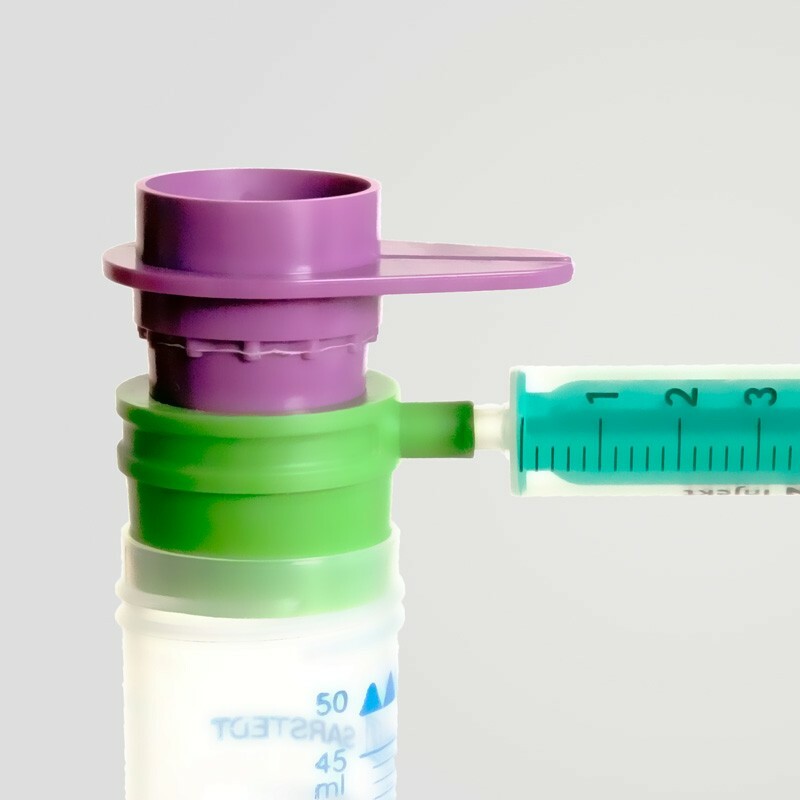 To obtain the larger fraction, take off the pluriStrainer®, turn it upside down onto another 50 mL tube and flush back the sample from the pluriStrainer®. 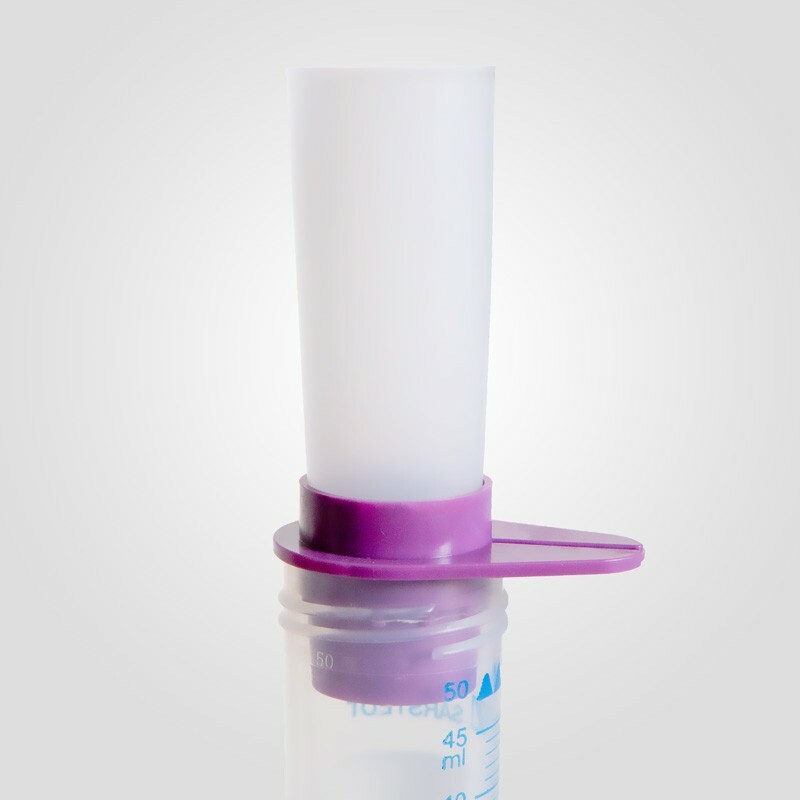 With Funnel You can add up to 24 mL sample material on top. Stacking of pluriStrainer® with different mesh sizes allows for straining various cell sizes at the same time. Allows to control the rate of flow by opening or closing the Luer-Lock, e.g. 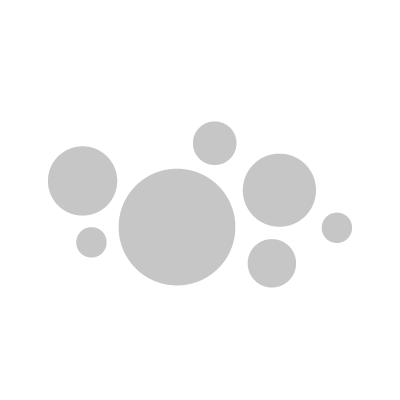 for physical dissociation of primary tissue (brain, spleen etc. )..